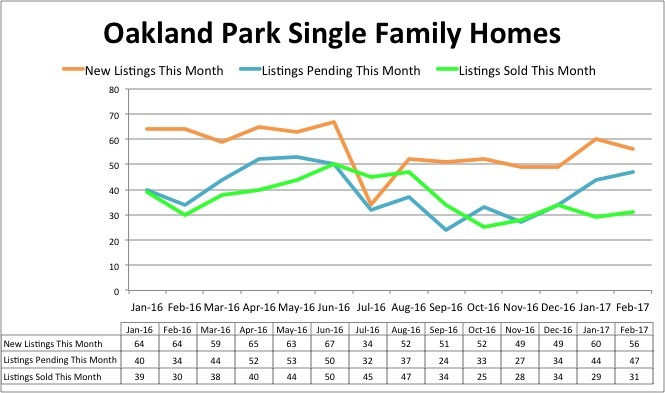 The trend shows increasing inventory in Oakland Park from November 2016 to February 2017. 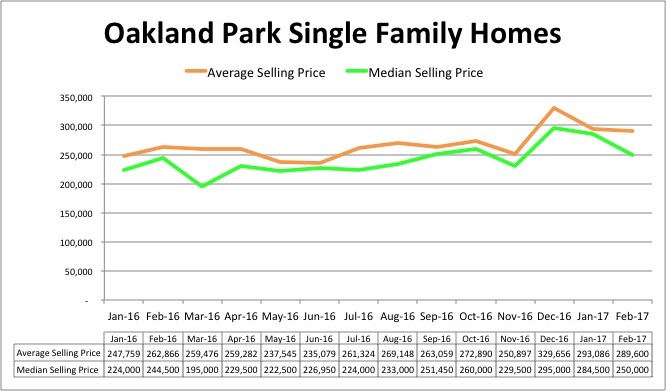 Prices spiked in Fall-Winter 2016 due to large volume of sales and is now leveling out to about 9% above 2016 prices. 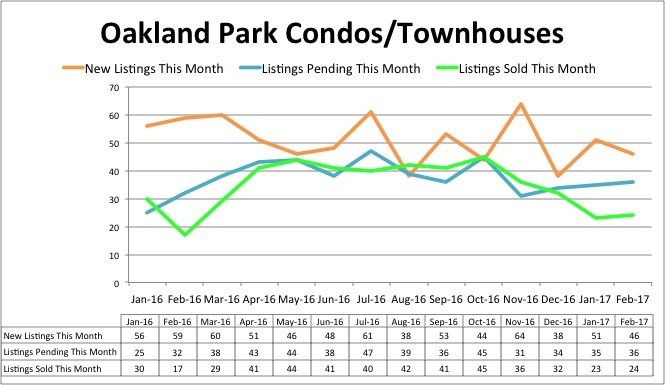 Condo inventory in Oakland Park is dropping, creating a Seller’s Market. 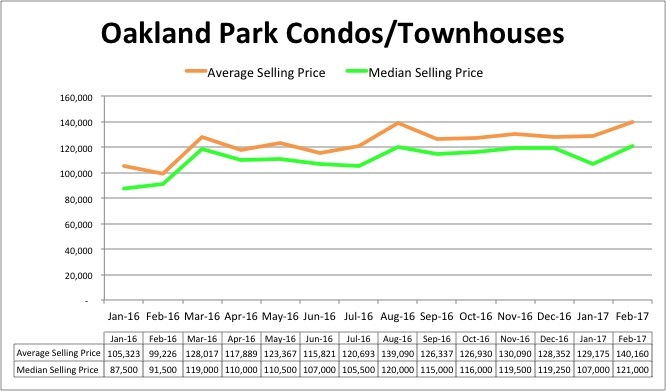 Oakland Park Condo pricing show strong increases over beginning of 2016. IF YOU ARE CONSIDERING BUYING OR SELLING PROPERTY CALL ME AT 954-632-5100. Current and Prior Month Real Estate Market Activity for Fort Lauderdale, Oakland Park, Wilton Manors, and Broward County, Florida. View trends on Monthly Sales, Inventory of Active Listings, Average Sales Price, and more.